We cater inquiries from hadapsar area, magarpatta area, Manjri, Mohammadwadi area, peth area, shivaji nagar, near by swargate only. For the diverse necessities of our patrons, we are betrothed in offering a quality range of SS Window Grill. Apart from this, patrons can avail this product from us at nominal costs. Fabricated by making use of supreme quality required basic material, these offered windows are empowered with several incomparable attributes such as longer serviceability, resistance against corrosion, sturdiness and fine-finish. 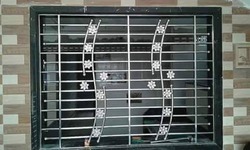 We are one of the most reliable companies in this domain and are into offering Stainless Steel Window Grill. 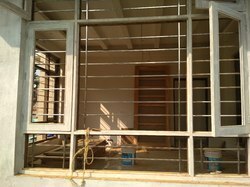 We are a reputed entity, engaged in offering a qualitative array of Steel Window Grill.